Figure out who's playing in the Biome Generation round! The map reminds me of a fractal type of map from Civ, which is neat. 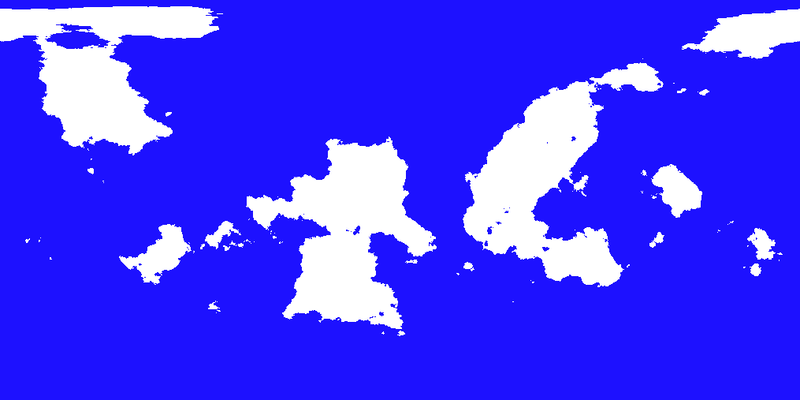 But I feel like there's going to be a lot of water, even once the map is overlayed on the sphere and continents take a more natural shape. Could we maybe have one or two larger bits of land that aren't as narrow? Maybe fatten a few sections of existing land a bit. I actually created it with the equal proportions of land to water as Earth. The difference is that the land is more spread out (i.e. narrow). I'll whip up some options and we can go from there. If none of these work I can keep going. Also orientation can be altered for any of them. I like number one the least. Two and three are both really neat! I'll put up a poll! Remember to view them on Google Earth to get a true perceptive on what they look like. I keep getting an error when trying to open the maps in Google Earth. How exactly do we do it? There should be a button called "Add Image Overlay." Click that. A menu will pop up. Click the "Browse..." button and select the map you want to use. You'll see the map but it won't take up the whole globe. Use the green lines on the edges to resize it to take up the whole globe. Be careful when dragging it up to the poles, it's very finicky about that. 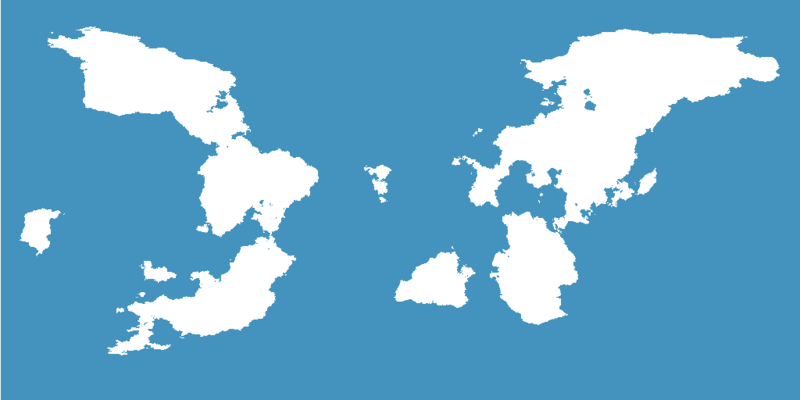 Then, instead of making a new overlay to make another globe, just copy the current one so you only have to set it up once. If you ever want to edit a current one, just right click it on the left and select "Properties." Alright! 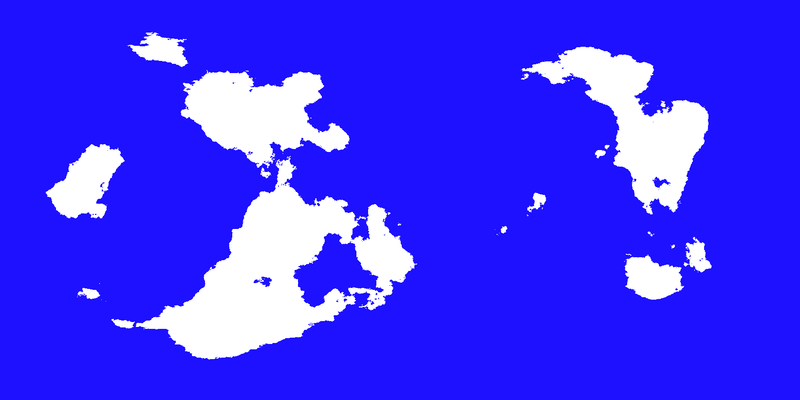 Kinda worked, they overlay now but they are way too small and only cover about 1/3 of the globe. Drag the green lines, man! (You have to do this with the properties window still open). Fair enough. Though once we pick a map, I can make it a .kmz file and no one will have to edit the map overlay manually again. Edit: I added another map to the poll. I also gave you guys the ability to change your vote, if you want. It's probably to most Earth-like of the maps, but people like options, right? Only three votes. There is technically a leader, but not sure I should call it with such a low number of voters. Thoughts, potential participants? I voted for the newest one, but the one with two votes is my second choice out of the rest. I'm in favor of continent-bereft polar regions. Antarctica is such a waste of continent. You should add ice caps in the Google Earth representation in either case. Don't worry, we'll get to the biome stage once we pick a map. 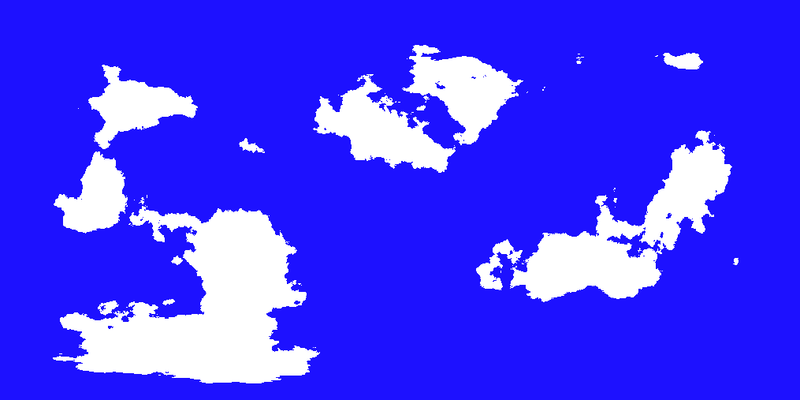 It'd be cool to figure out how the surface currents and climate would be affected by having two ice caps rather than one ice cap and one giant glaciated continent.